We buy bicycles @ Camden cycles for cash. This facility is not often available on most the bike shop in London. 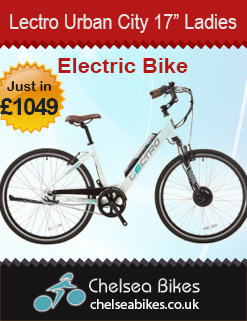 Camden Cycle give this opertunity to you come here and sell or buy your second hand bicycles If you need to change or sell your second hand bicycles in UK then Camden cycles is the best place to go on for the best value of your old ride. We believe that no one knows about the bicycles better than us so without any hesitation or fear that what will happened to your old ride after selling it to us so we assure you that don’t need to worry about this your bike. Our team of experts has accumulated 100 plus year experience in bicycle industry so we have best value estimators. We give the value of bicycle according to bicycle age, condition, make and model. In order to sell the bicycle you should be over 18 years of age. Bicycle seller must fill the “Owner’s Declaration Form” and he/she will have to provide two forms of IDs. From these two forms of ID Primary ID will be photo ID. Secondary proof of ID we need is for your address. We will photocopy your proof of IDs for our record and after filling the form you will get the agreed cash value of your bicycle. All this criteria we follow are to make sure that we are not buying any stolen bicycle. We also accept donations of your unwanted bicycles so if you have left your bike and not riding it donate to us and we will find a lover for your bike. We use all useful parts if the bike is not suitable to ride again. Just remember we also keep our own stolen bicycle database which is regularly updated, so please take time to fill in our ‘Stolen Bike Form’ which is available on request in our shop. We can buy your pre-owned bicycle. Camden Cycles prides itself on the way it works alongside the community and police when purchasing second hand bicycles from its customers. 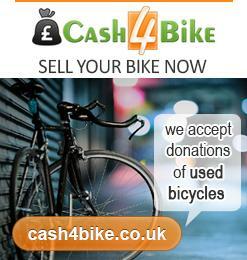 Trade your unwanted bicycles for something else (Parts, Accessories, Services) or simply sell for Instant Cash! 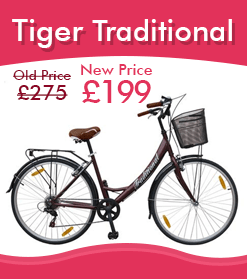 At Camden Cycles we love to buy your second hand bicycles and commit to offer the best price possible. Please bear this in mind when you offer to sell a bicycle that bicycle depreciate by the passage of time as this will need to be reflected in the price you expect. The more detail you can give the better the chance we have of giving you a competitive price when you come in. The process could not be simpler. *Please note: All identification, carrying a signature, must be signed and current.All other ID must be current or less than 3 months old. All payments are made at the complete discretion of the store.